These shoe shelves can hold up to six eight pairs of shoes, thus expanding the storage potential of your wardrobe by organising your shoes. The shelves are angled for clear display and easy access. It can be installed as one 1.2m shelf or two 60cm shelves. It is compatible with any Rubbermaid Configurations™ kit. Are you having problem in organising your pants? With Configurations™ Sliding Pants Rack, you can organise your pants easily and neatly. It can hold 7 pairs of pants and has rubber grippers to prevent pants from sliding off. This rack can share brackets with a shelf to maximise storage space. The ball-bearing glides ensure easy sliding. Are you having hard time finding for your ties, belts and scarves in your own wardrobe? Here's the solution. 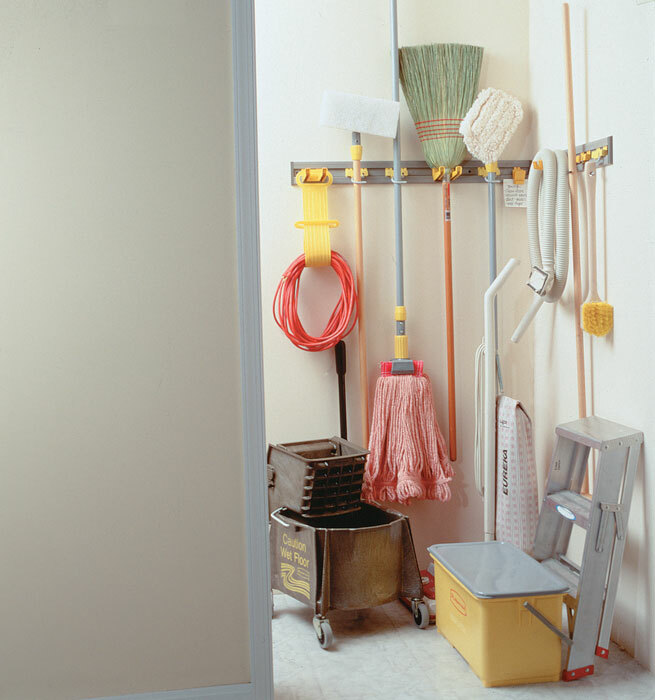 With Rubbermaid's tie and belt slider, you can organise them. It contains 30 hooks for ties, belts and scarves. It has a smooth glide that smoothly pulls out for easy access to stored items. 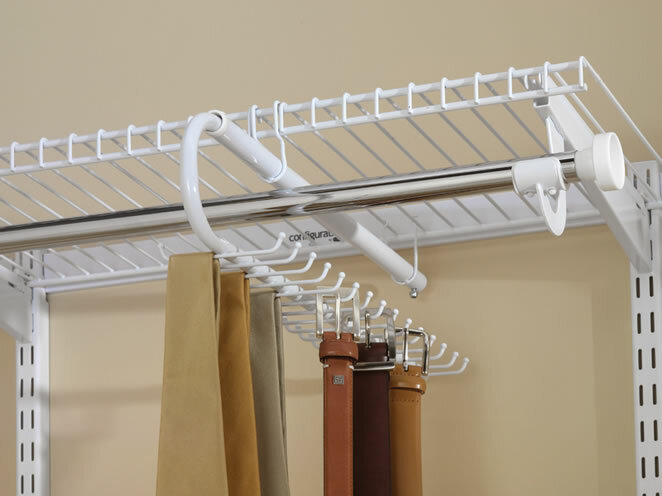 You can add accessories and extend your storage space in your Configurations™ wardrobe with the Upright Extension Kit. 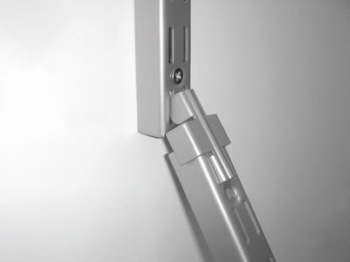 It creates more vertical space in the lower part of your Configurations™ wardrobe. 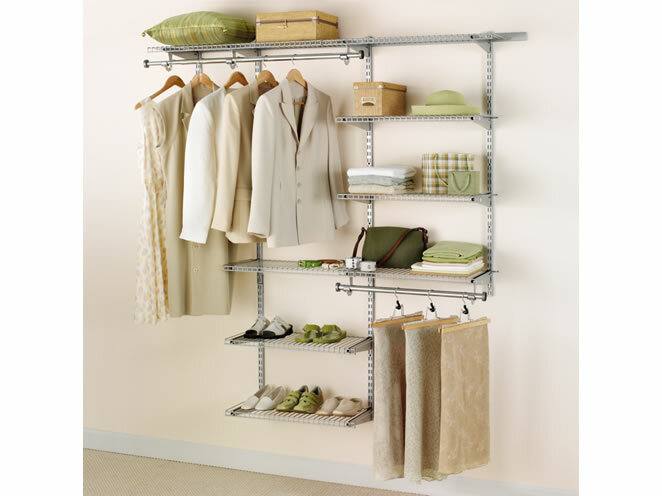 It allows Configurations™ accessories, such as shelves, drawer units or shoe shelves, to be added to your wardrobe. The extension maximises your storage space while keeping items off the floor. Do you need two shelves or one? With the Rubbermaid 1.2m Hang Kit, it comes with with 2 shelves and 1 expandable clothes rod. It can be used as two shelves or one and can be adjusted at any time depending on your storage needs. It can fit any space with no cutting required. 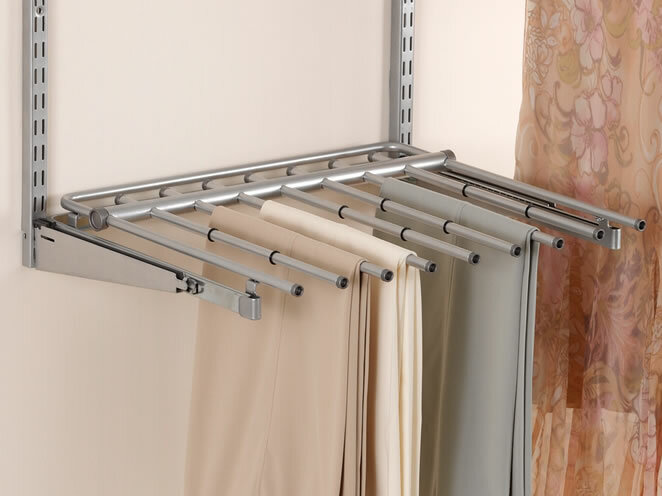 This kit adds adjustable shelving space to any Configurations™ wardrobe kit. Expandable shelves require no cutting. Use as two shelves or one with no commitments because it is adjustable at any time. Perhaps you are thinking of personalized, custom wardrobe. You have come into the right place. 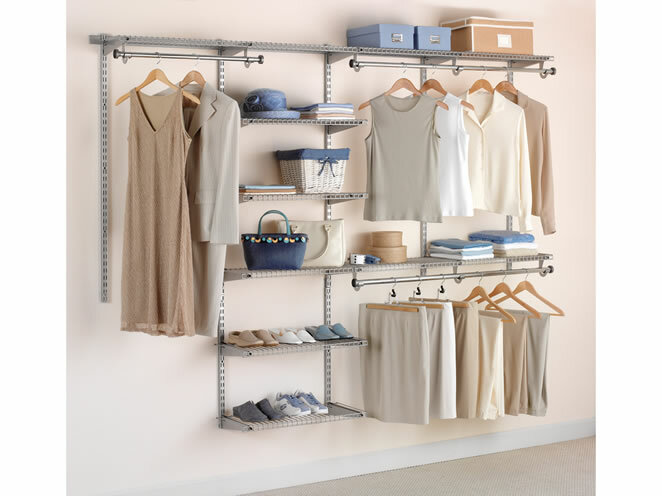 With Rubbermaid Configurations™ Wardrobe Kits, the quickest, simplest way to personalize a wardrobe. If you need more storage, you can simply add some resources to your kit. 1m to 1.8m Deluxe Configurations™ Kit Kit includes (6) 66cm Shelves, (2) 91cm Shelves, 2 - 91cm Top Rail, 16 Brackets, (4)120cm Uprights, (2) 64cm Upright Extensions, and (2) Hang Rods. Make the most of the space in your wardrobe with the adjustable and customisable Classic Configurations™ Kit. This kit works in wardrobes 1.2-2.4m wide and was designed for easy installation with no cutting. Telescoping rods and expanding shelves let you organise your wardrobe anyway that works for you. It can give you up to 6m of shelving space and 3.5m of hanging space. Closer Organiser /tool holder helps increase productivity and efficiency through better tool storage and access. S-hooks hold 5/8″ to 1 1/4″ (1.6 cm to 3.2 cm) handle diameters. Deep double hooks afford easy accessibility. Clip holder for work notes and instructions. 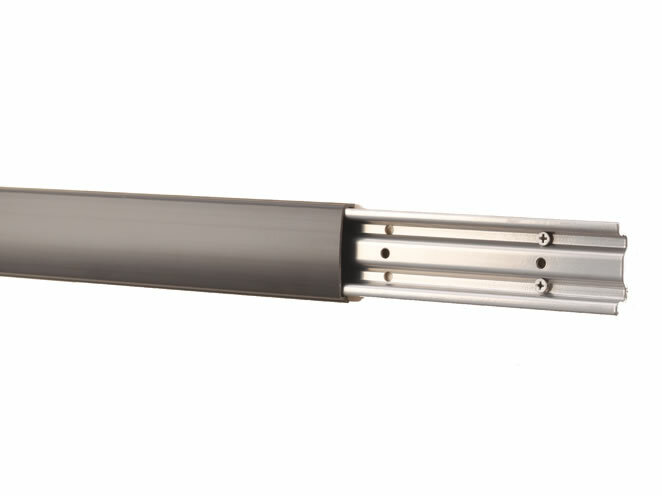 The backbone of the FastTrack® system, FastTrack® rails are quick and easy to install taking only a few minutes. Their heavy steel construction provides extra durability, and they hold up to 790kg. A wide range of accessories can easily attach to the rail to create a customised garage storage system that can change to meet your changing storage needs. This 40cm wire shelf is perfect for storing large items with its maximum holding weight of 158kg. The required uprights and brackets can move around on the FastTrack® system to make a customised garage storage system that can change as your storing needs change. This bracket holds a 40cm deep shelf for storing large items. 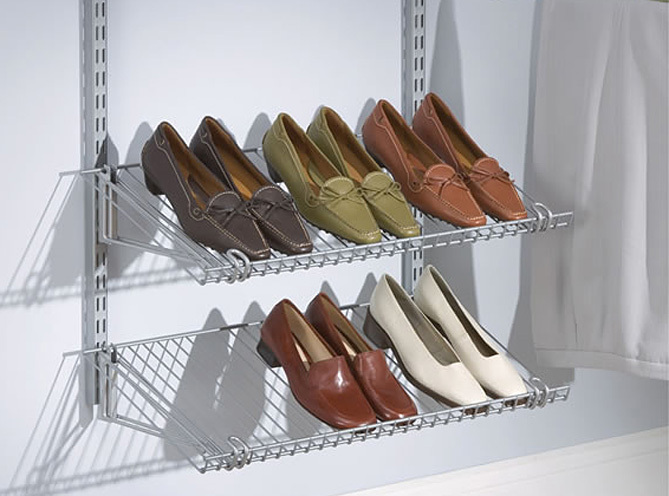 It works with FastTrack® wood or wire shelving. 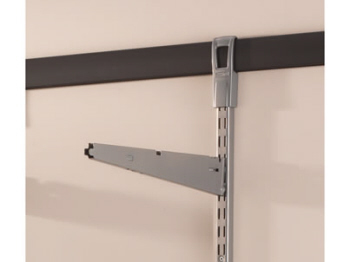 Like all FastTrack® items, this bracket is easy to attach and adjust on the rail so you can make a customised garage storage system that can change as your storing needs change. Fast, easy, fun. This 114cm upright extension kit expands your storage space vertically. 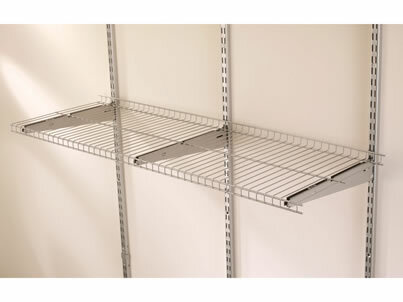 It is used to mount FastTrack® shelving. 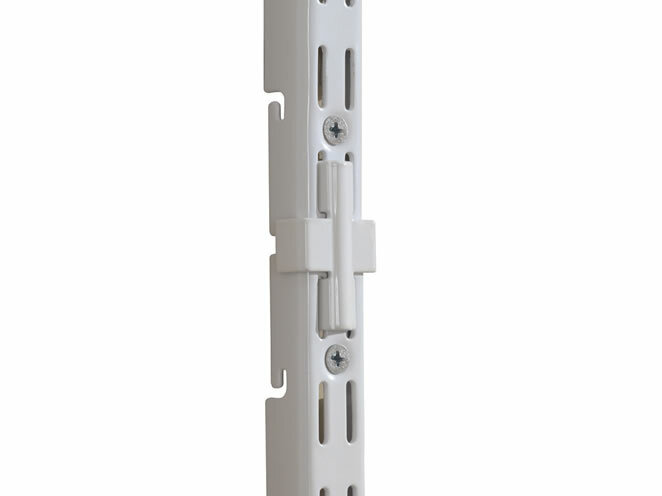 The kit includes three 63cm upright extensions and mounting hardware. The FastTrack® Garage Organisation System is easy to install and allows you to store more by making use of your entire wall…not just where the wall studs are located! Get your garage under control with the FastTrack® garage storage system. 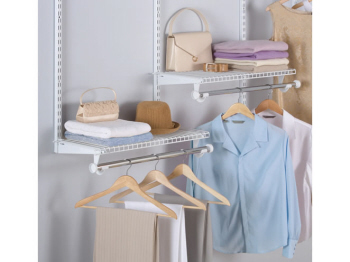 The FastTrack® rail and accessory system stores 10x more by using the space between studs. Our kits are an excellent way to get everything you need to start organising your garage with FastTrack. All installation hardware included. 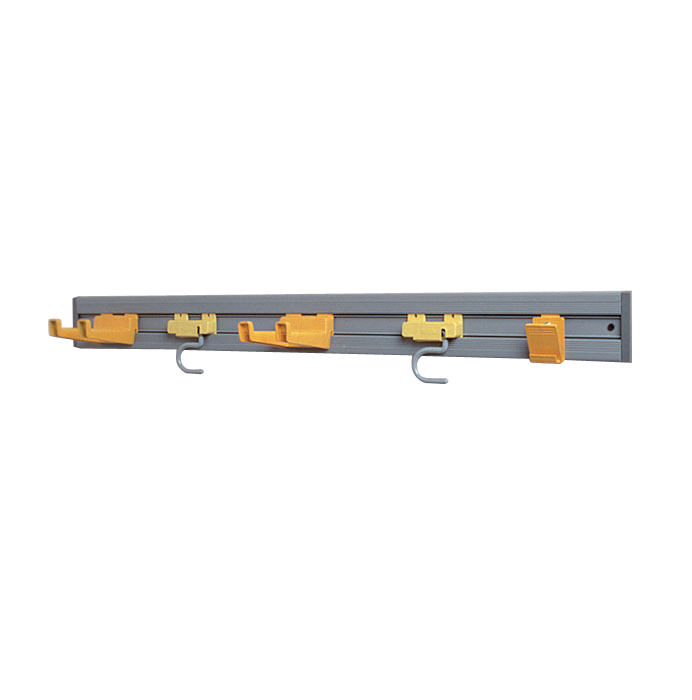 This starter kit contains 1 FastTrack hang rail, 3 uprights, 3 track grippers, 6 ventilated shelf brackets and all necessary installation hardware. Please Note: Kit does NOT include shelves.